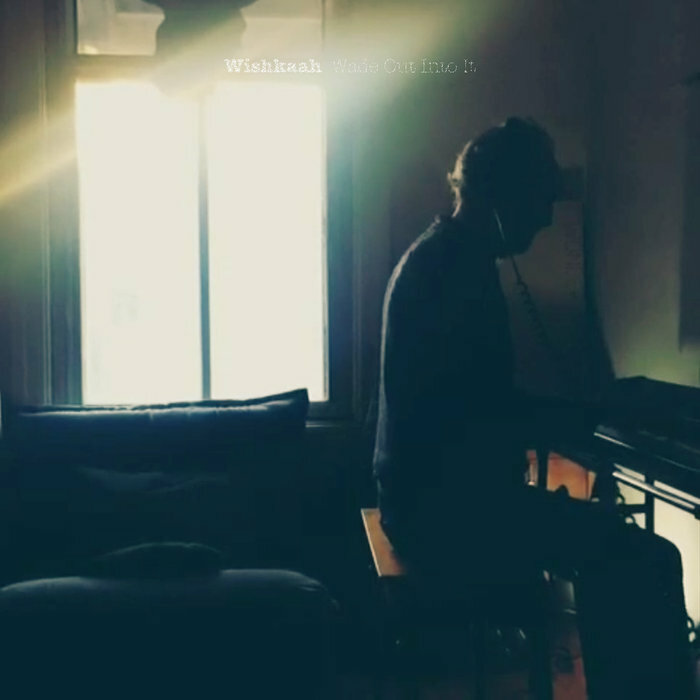 For those of you keeping score at home, Wishkaah is the solo project of Jesse LeGalais, whose work with the three-man outfit CTZNSHP has previously been featured here at Grayowl Point. CTZNSHP excelled by taking a welding torch to New Wave, pop, and anthemic rock ideas, applying blistering heat, and letting the resulting sculptures cool: with Wishkaah, LeGalais trades the torch for woodworking tools, carving out slow and deliberate figures from smooth guitar and resonant, humming, 1970s-era electronic palettes. Wade Out Into It is a brief exercise at only three tracks of relatively standard three-to-four-minute length, and putting LeGalais out on his own seems to drain him of the force and dynamism that he has displayed in a fully staffed band context. “Pastoral Enlightenment” is a case of a song’s title hitting the nail on the head perhaps a little too hard, with mumblecore narrative lyrics set over a phasey, psych-folk pulse. The song settles into a comfortable groove, but it lacks the drive to pick itself up from its idyllic lie down in the grass and go anywhere particular. “Max Out” closes this EP with a return to the pensive mood on which it began. Its structure is like a winking series of 80s pop references and riffs cloaked in dark, shifting reverb. Unfortunately, the song comes across a bit ponderous and overly serious in practice, if not in theory. Many genres of music, and many albums both great and terrible throughout musical history, have borne out the idea that it can be interesting to see what a dynamic frontman can do when left to his own devices in a small room with only a few tools, pencil and pad included. Putting Jesse LeGalais in this position makes us miss the verve and scope of his work with CTZNSHP (and Jace Lasek’s inimitable production) but offers a different, fogged but closely focused lens through which to view some of his creative forces.